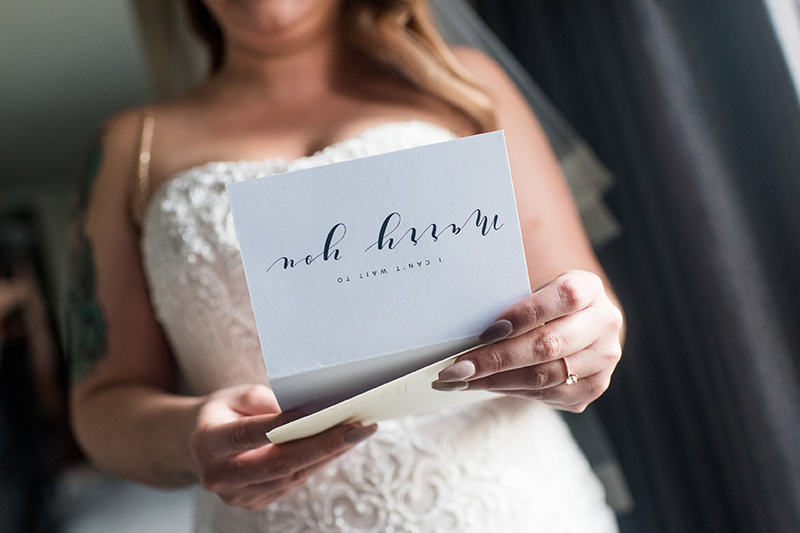 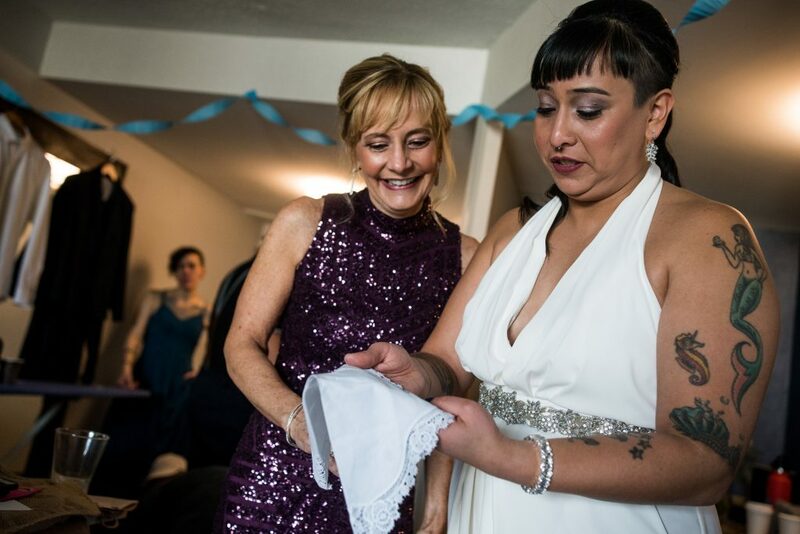 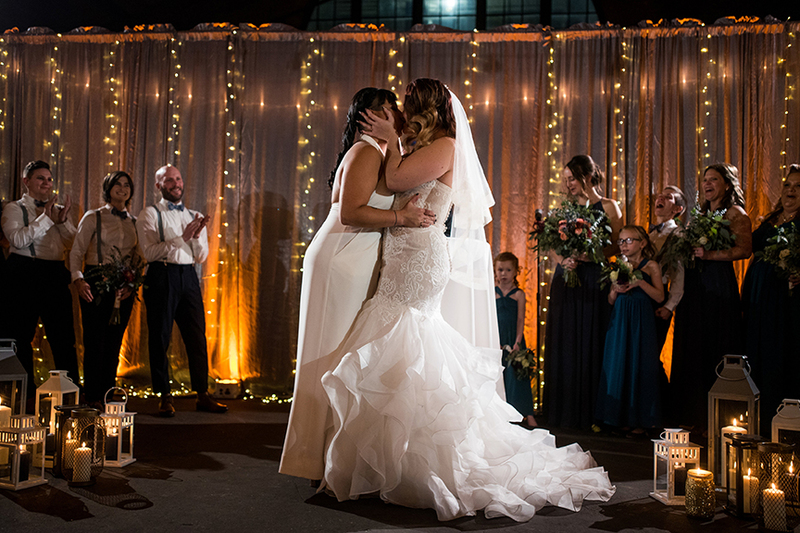 We asked Social Worker, Dubraska, and Social Media & Logistics Manager, Jill, to take us on a visual tour of their wedding day. 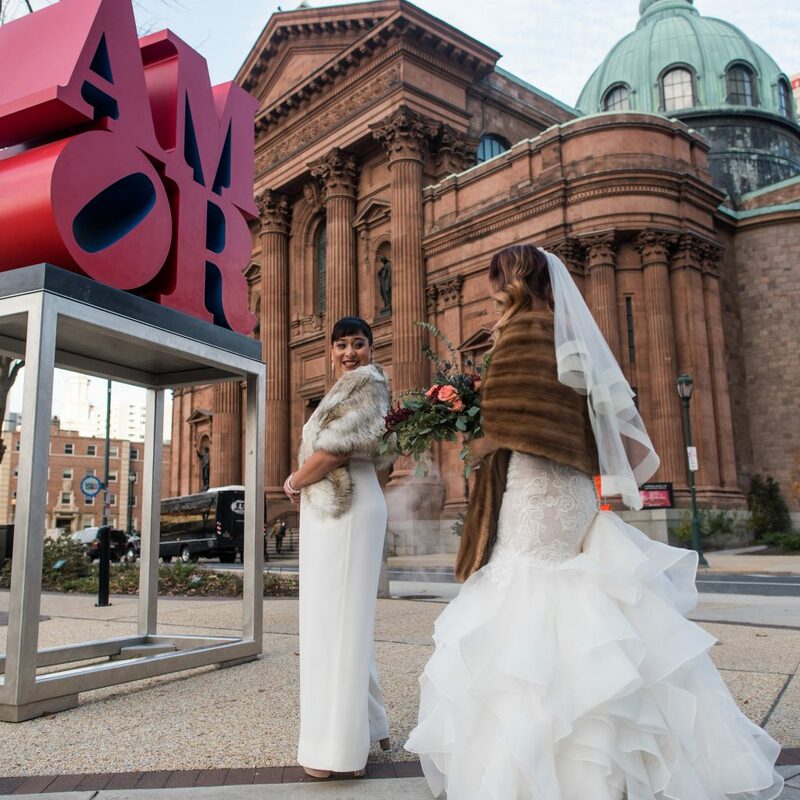 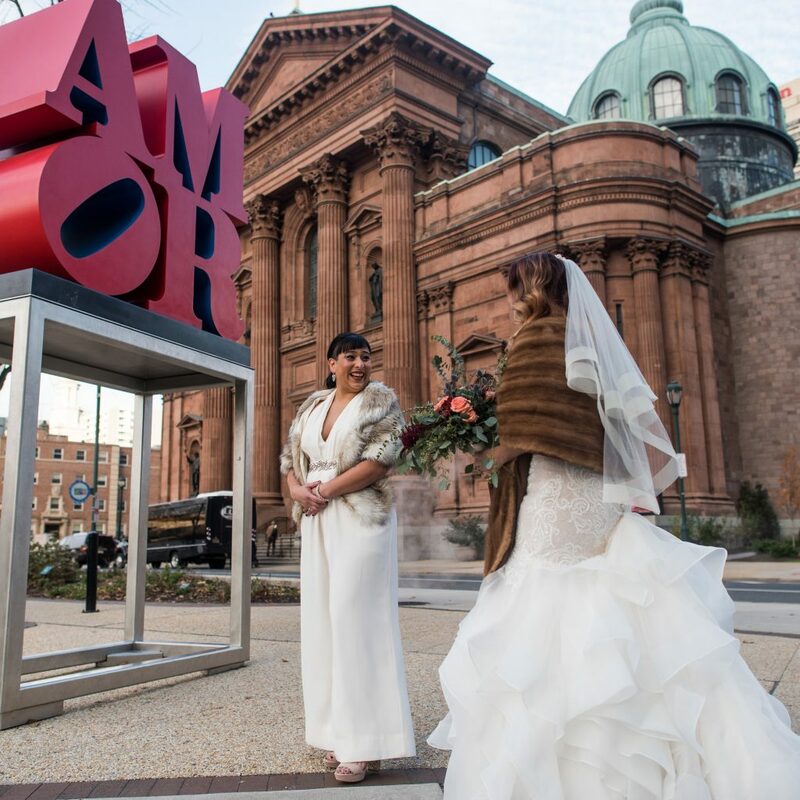 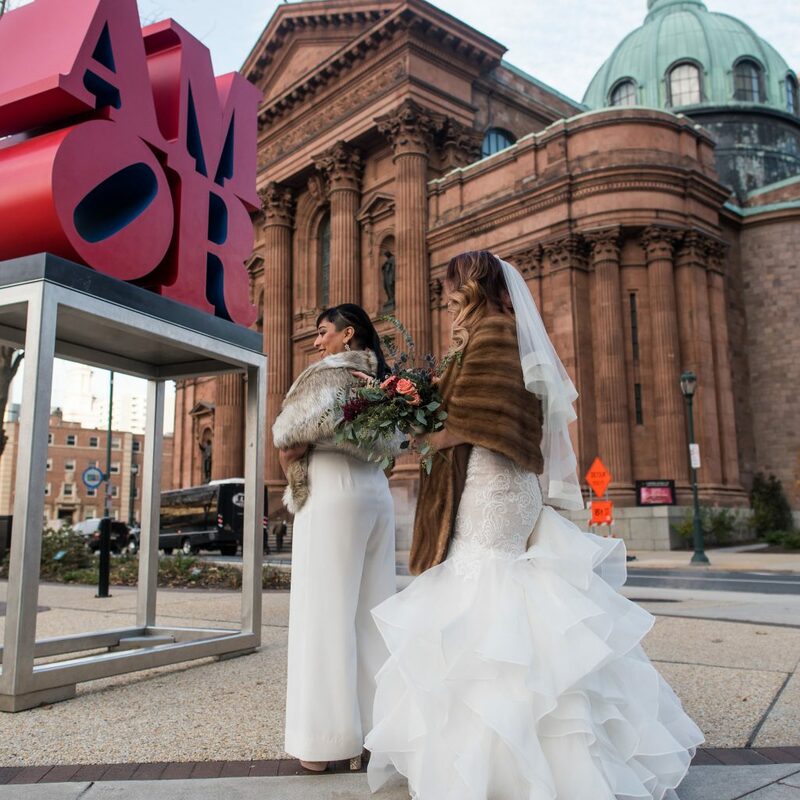 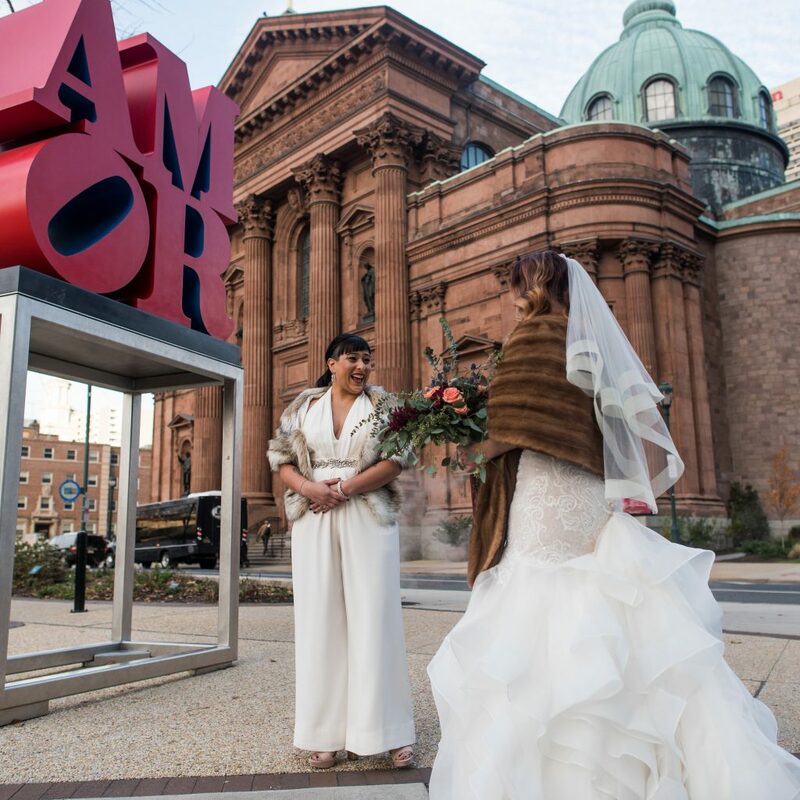 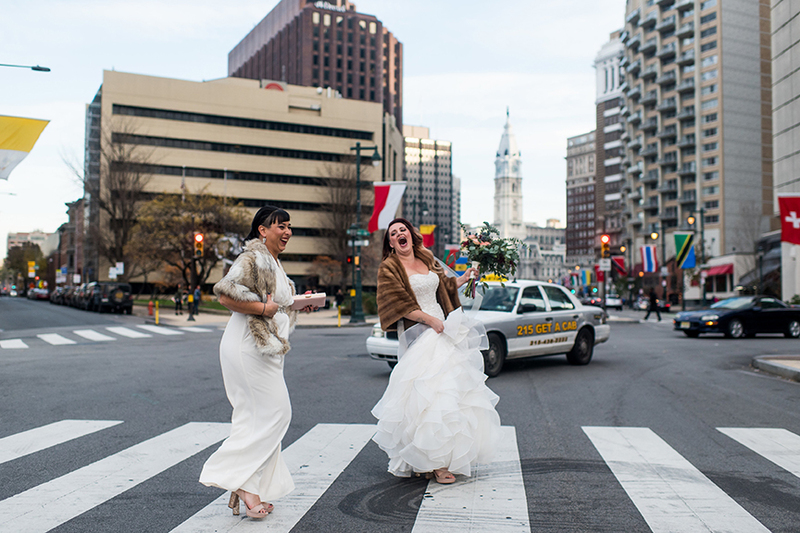 They celebrated their gorgeous Philadelphia Wedding on November 25th, 2017 at 23rd Street Armory in Center City West. 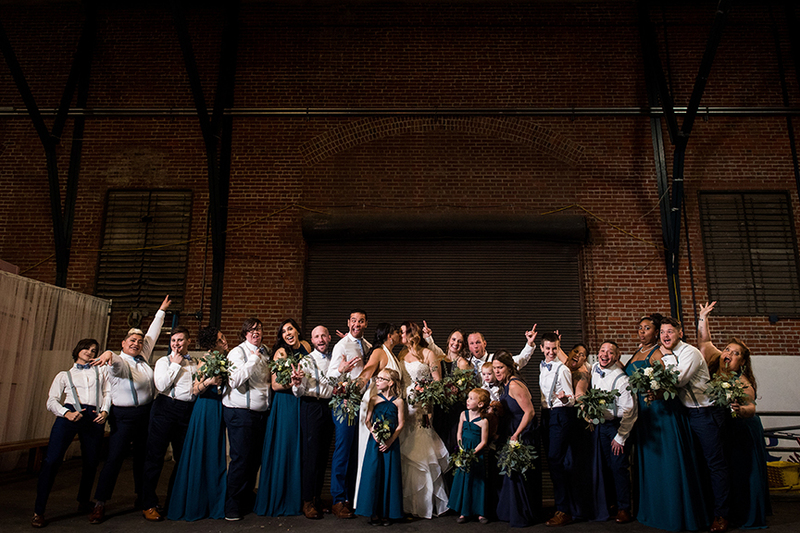 Their Wedding Style was industrial and chic with some beautiful earthy touches, and their color palate matched that perfectly. 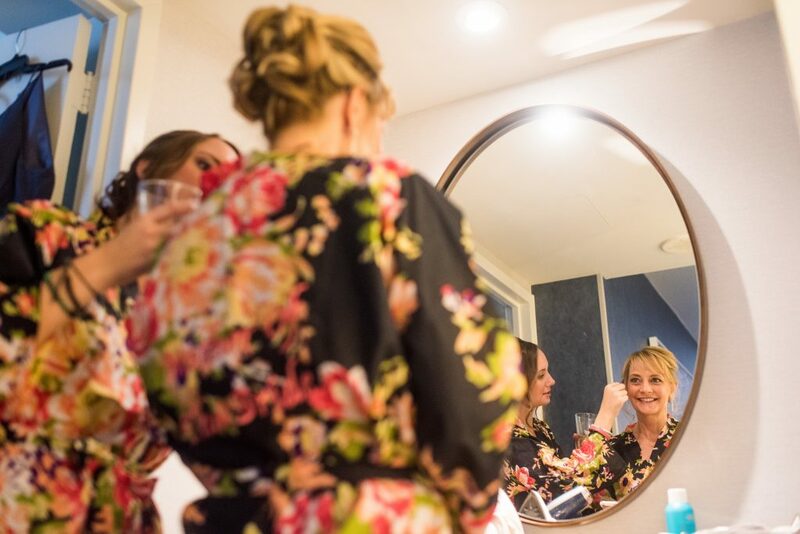 Let’s walk through their day to see how they pulled it all together! 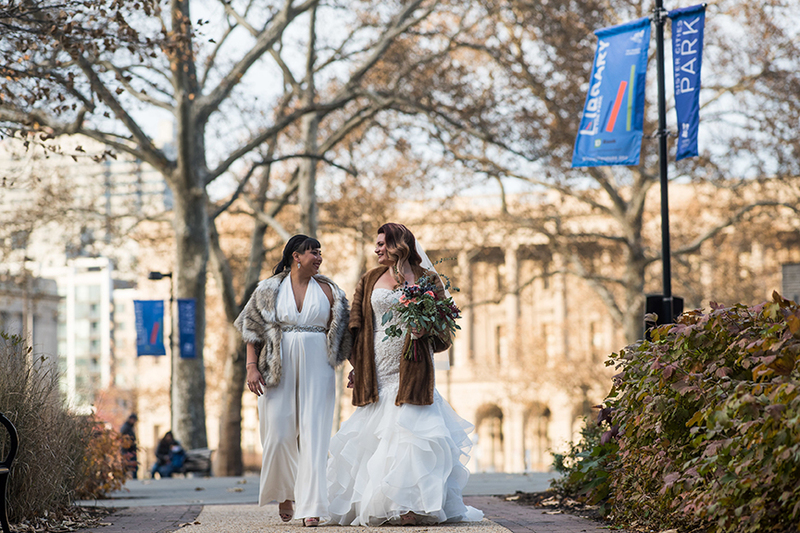 Dubraska and Jill woke up together at the Embassy Suites Center City Philadelphia Hotel, and promptly moved to separate rooms across the hall from each other. 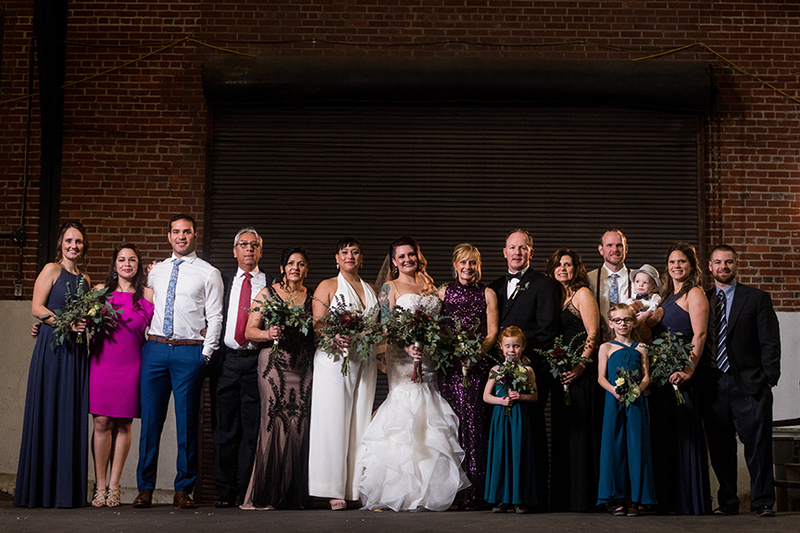 They were each joined by their bridal parties, mothers, and their team of stylists. 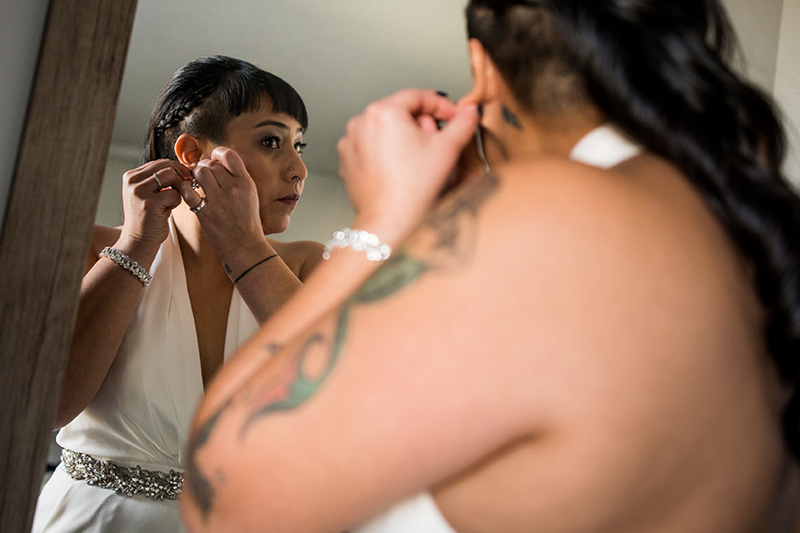 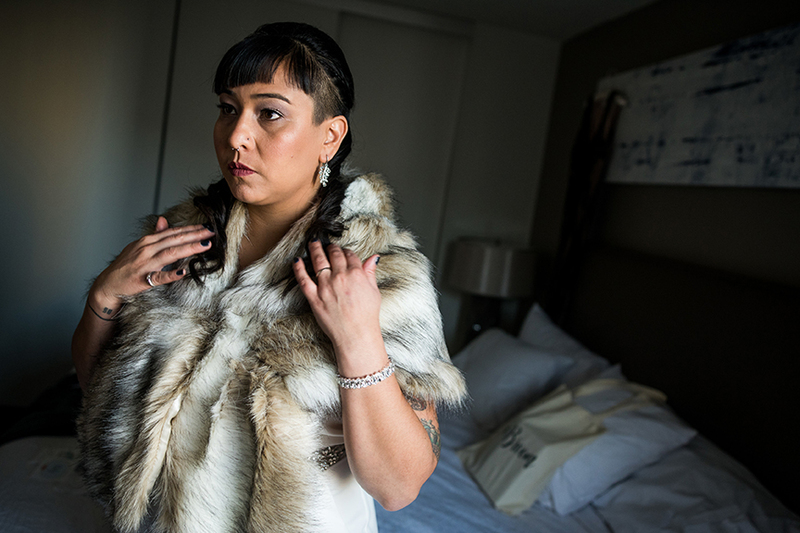 Ahlee and Ronnie of Juju Salon & Organics took care of everyone’s hair, while Angelic Hair + Makeup Designs, lead by Angel Simpkins, handled everyone’s makeup. 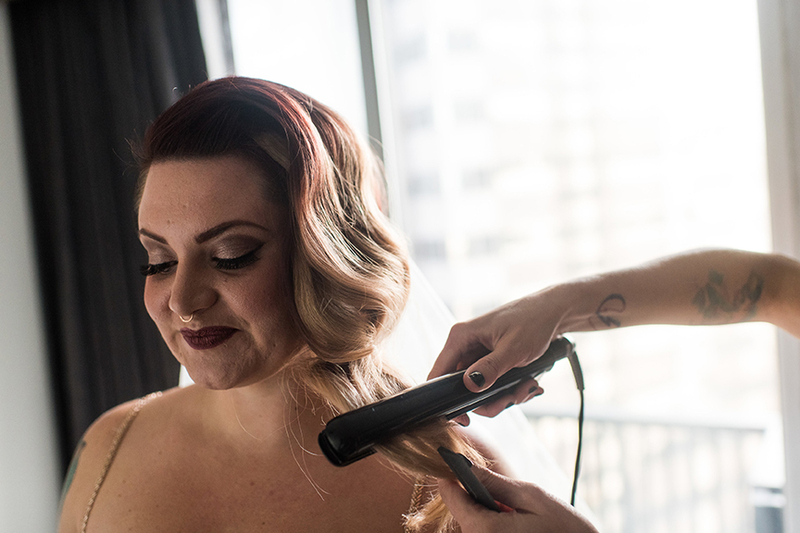 The couple’s Photographer, Colin Coleman of Colin Coleman Photography, and Videographer, Andrew Gormley of Silver and Spark, arrived for some getting ready photos and video at the hotel. 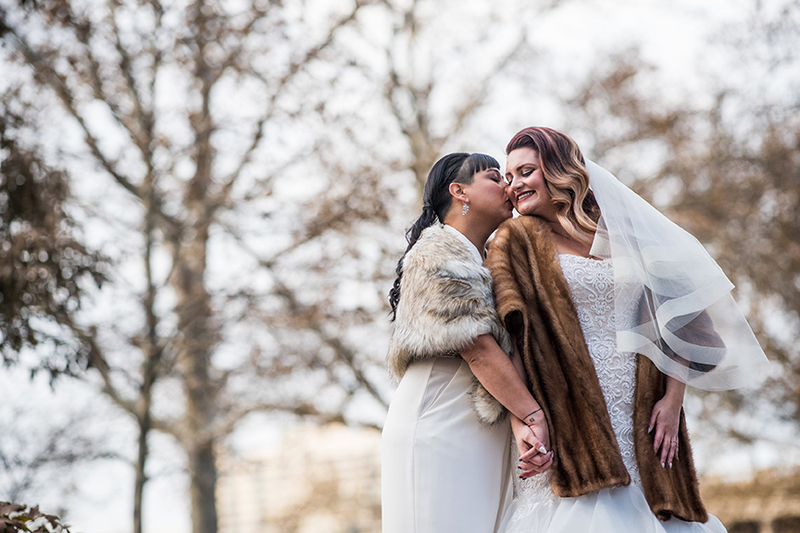 The couple went across the street to Sister Cities Park for their first look, and to take some formal portraits. 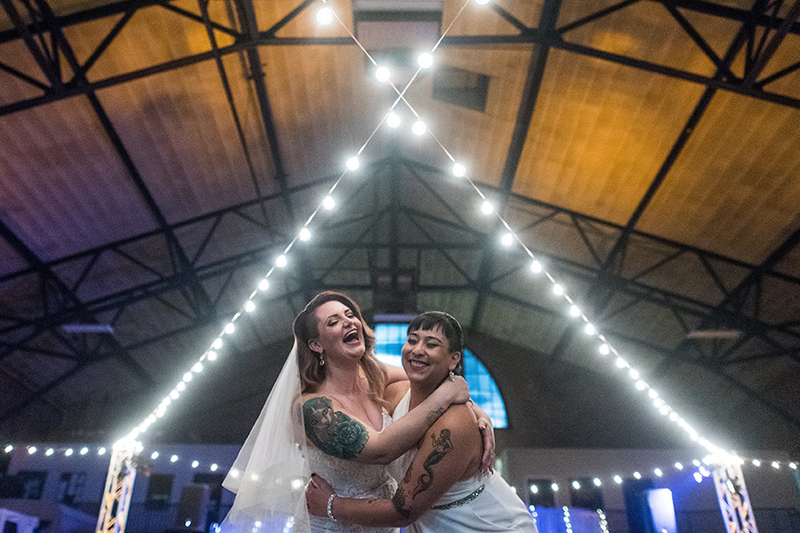 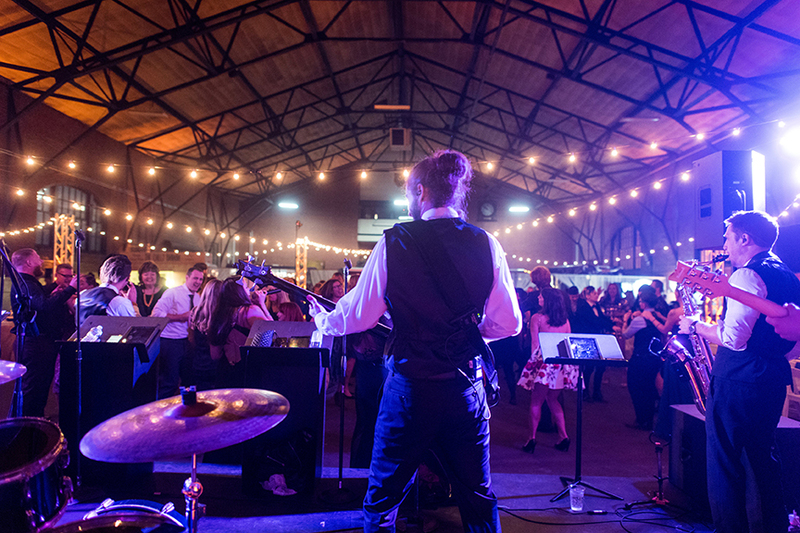 Philly Transportation, LLC took Dubraska, Jill, and their wedding parties to the 23rd Street Armory, where the couple would tie the knot. 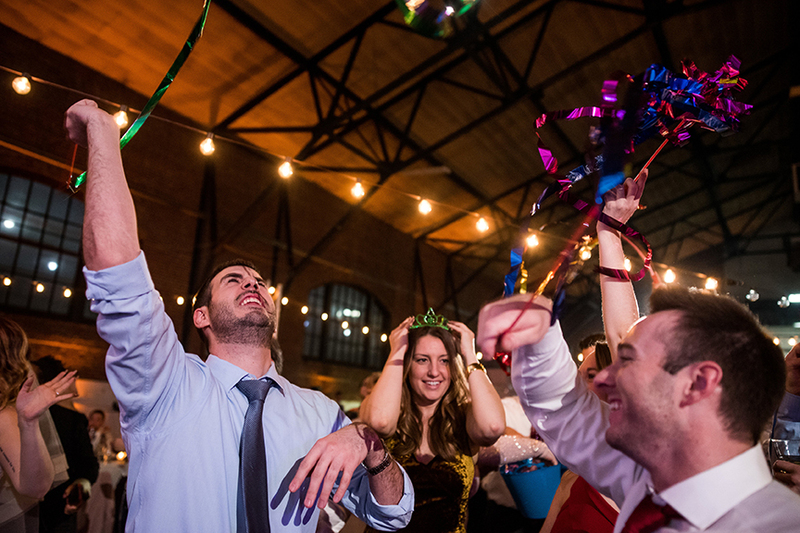 The rest of the pre-ceremony photos were taken in the Armory before their ceremony began. 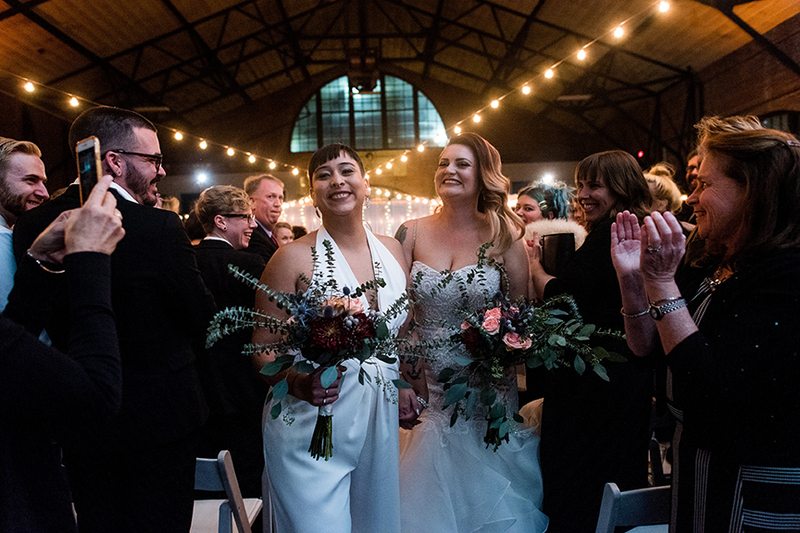 The Bridesmaids’ Dresses and Flower Girls’ dresses were from Azazie, Dubraska’s Pantsuit was by Jill Jill Stuart from BHLDN, and Jill’s Gown was by Oleg Cassini from David’s Bridal. 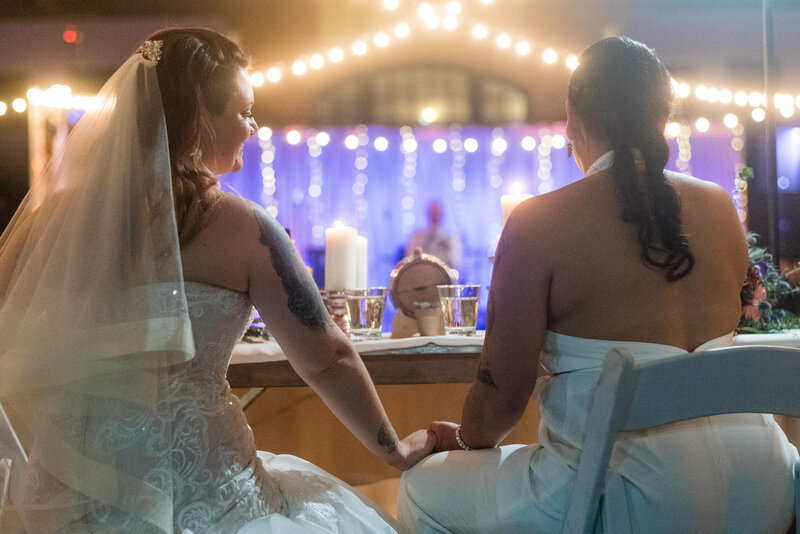 The candlelit ceremony was breathtaking, with pipe & draping, fairy lights, and uplights by EBE Talent. 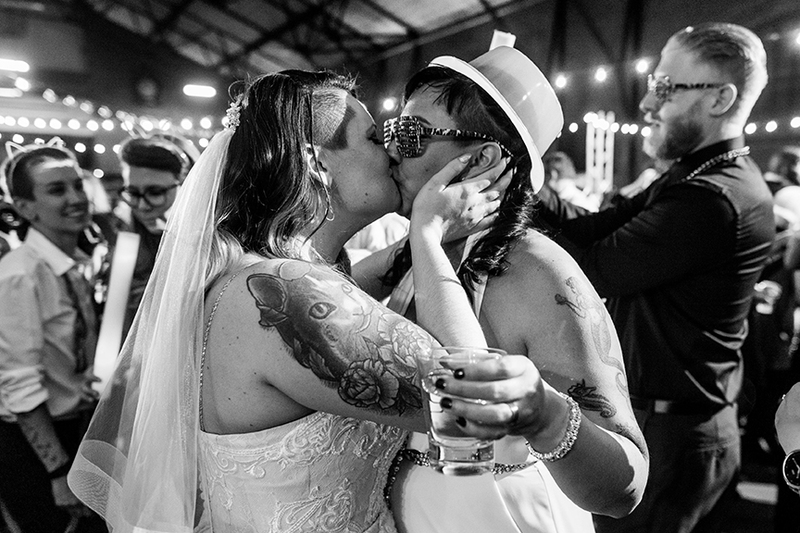 Their ceremony was officiated by Michael Wehrman, a dear friend of the couple. 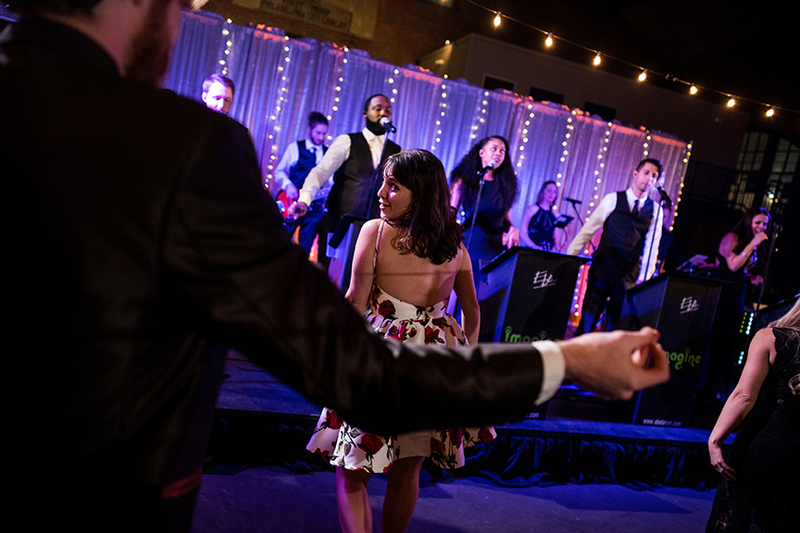 The music and ceremony sound amplification were also provided by EBE. 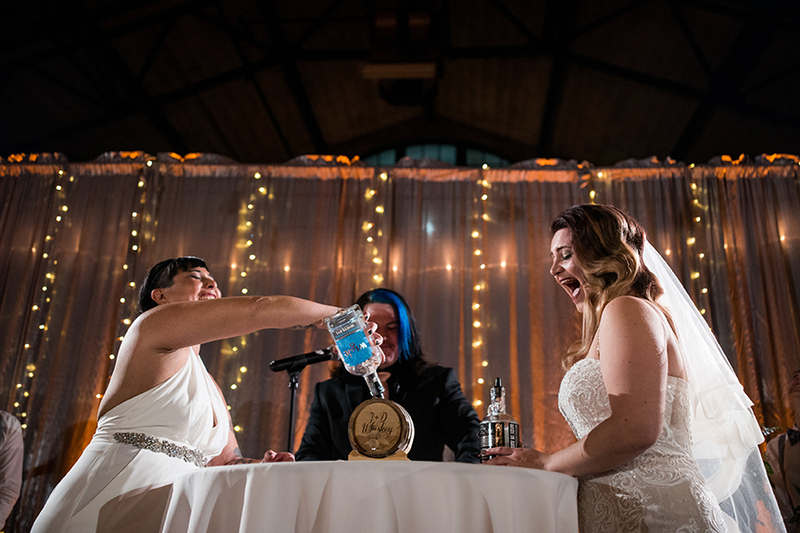 Dubraska and Jill are long-time whiskey lovers, and incorporated a whiskey pour into their ceremony. 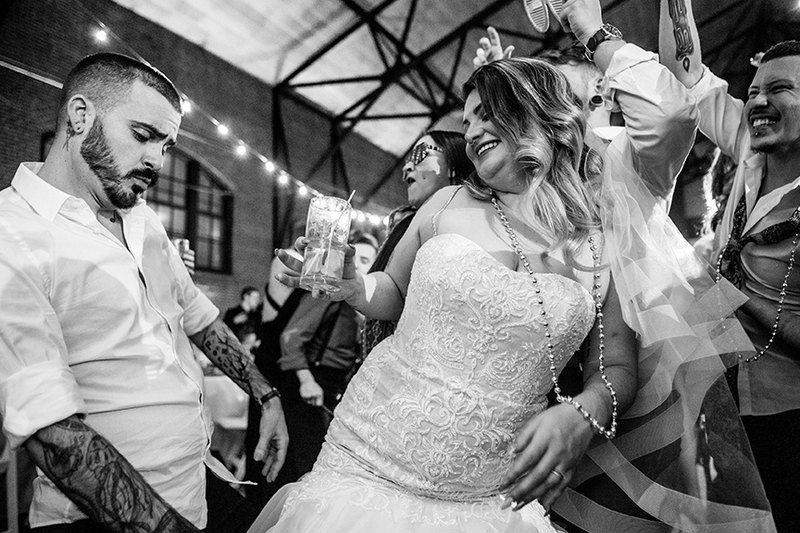 They each took a white whiskey and poured it into a charred barrel to age together and share in a few months. 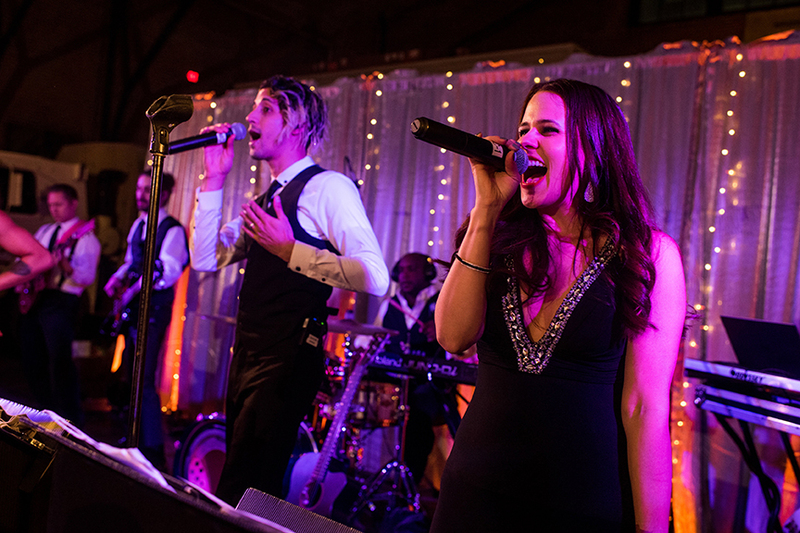 Cocktail Hour began as a trio from EBE Imagine played New Orleans-style jazz. 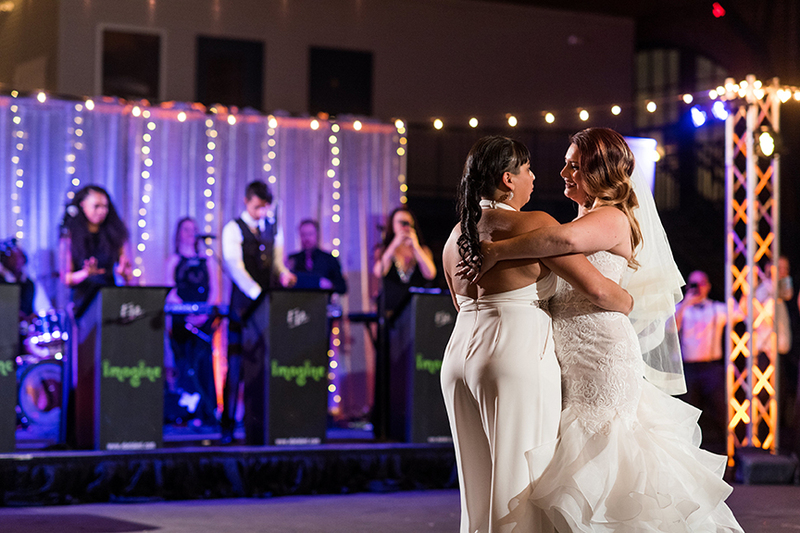 While guests enjoyed hors d’oeuvres and cocktails, the ceremony area was flipped for the reception. 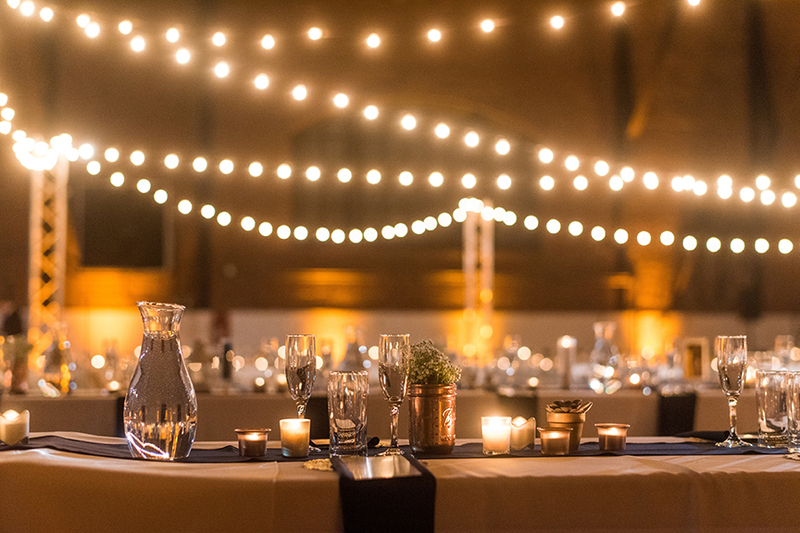 Over 100 candles, lanterns, and photos were displayed along the tables to create an intimate feel in such a large space. 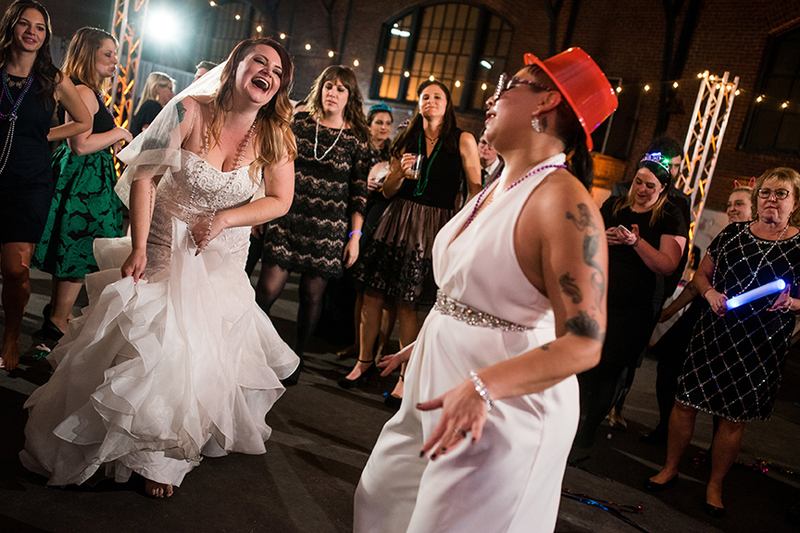 The reception doors opened, and their guests were ready to party! 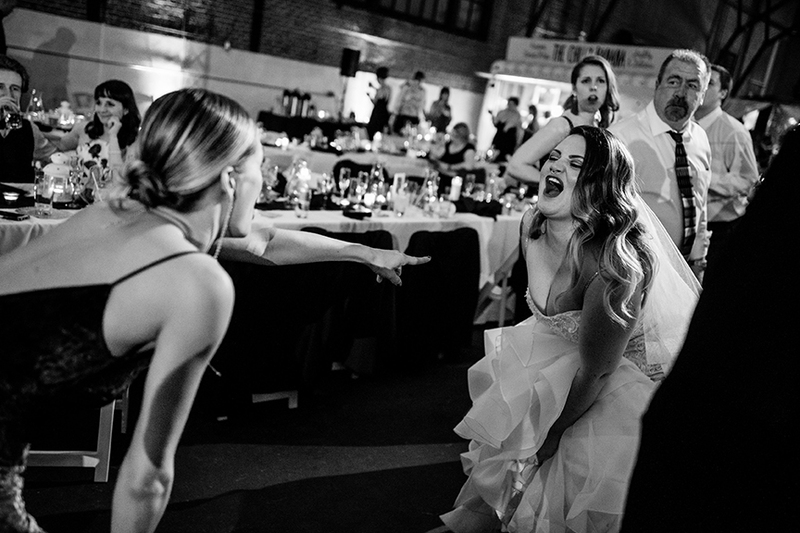 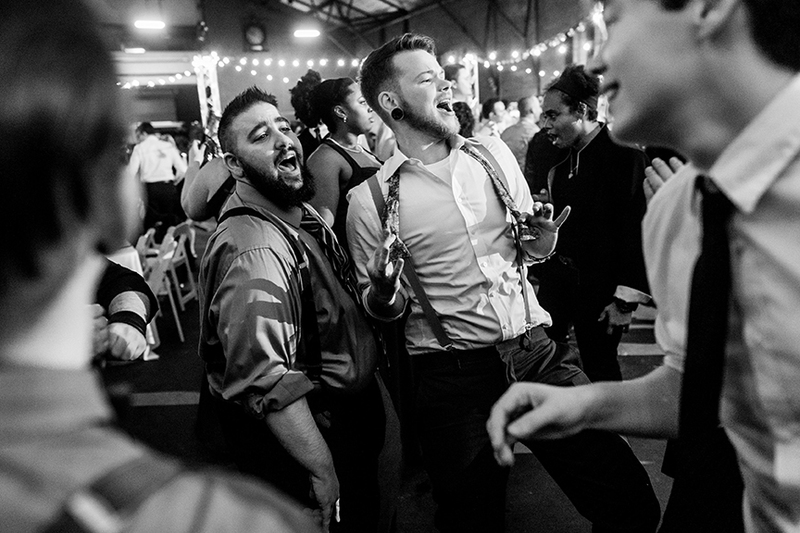 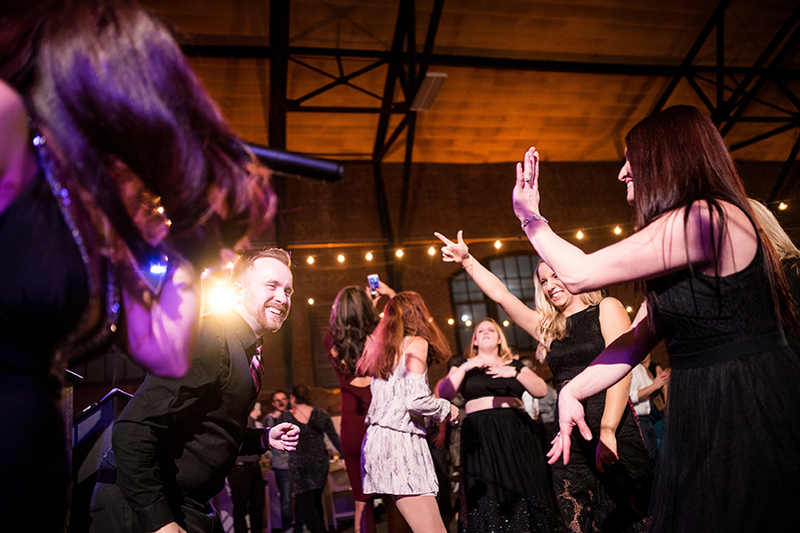 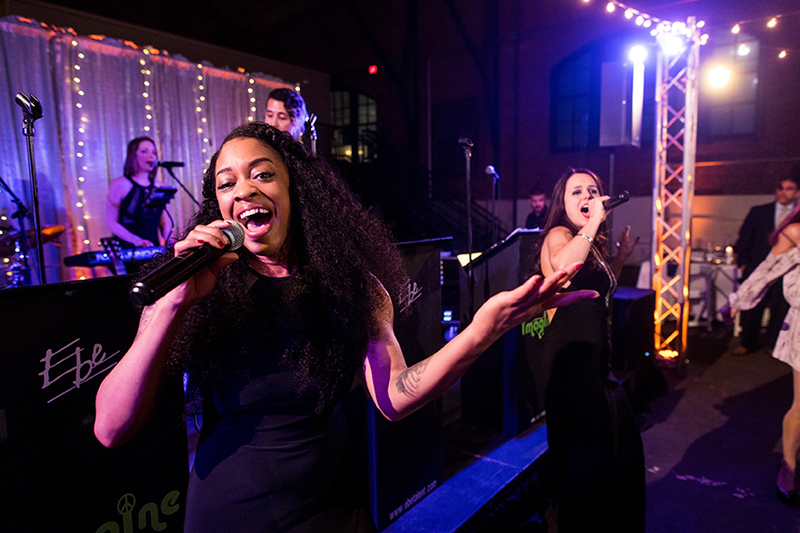 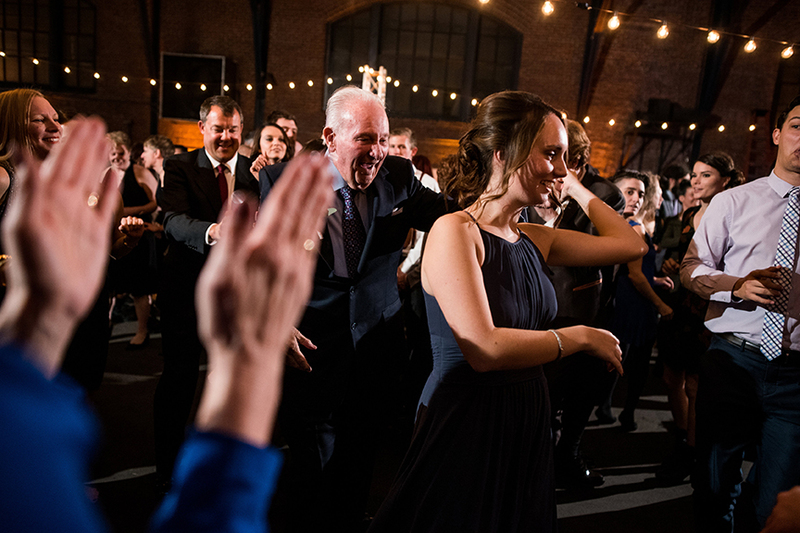 Dubraska and Jill shared their first dance, then EBE’s Imagine played dance music that got all the couple’s guests right on the dance floor – where they would remain for most of the evening. 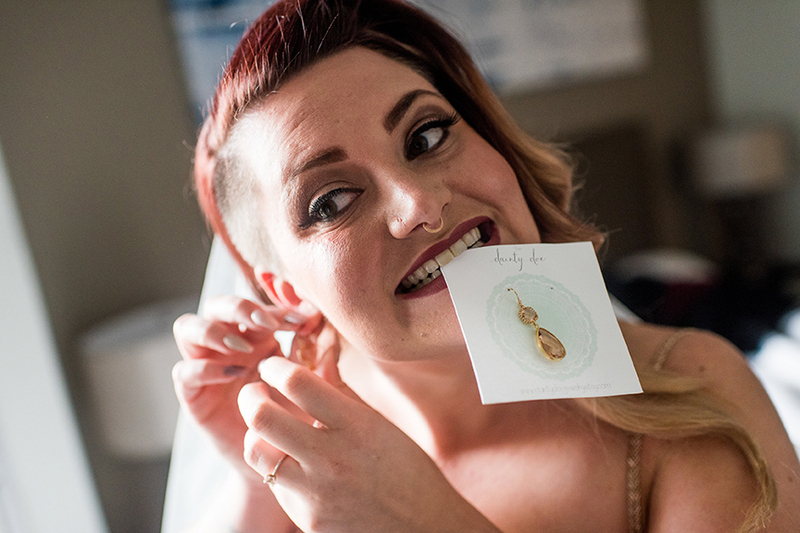 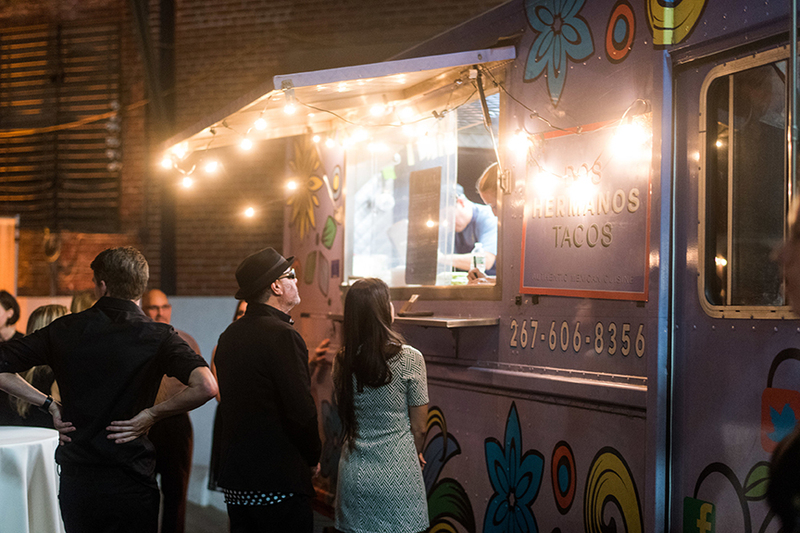 The couple chose to utilize food trucks for their wedding, rather than a traditional caterer. 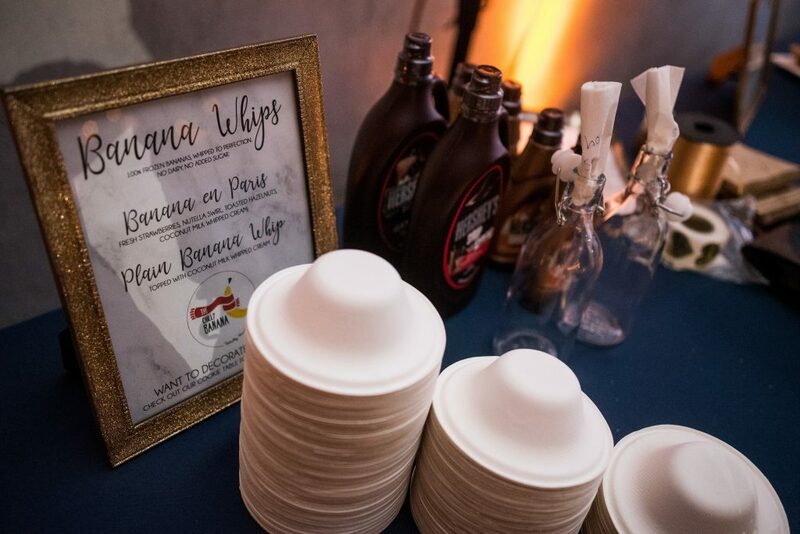 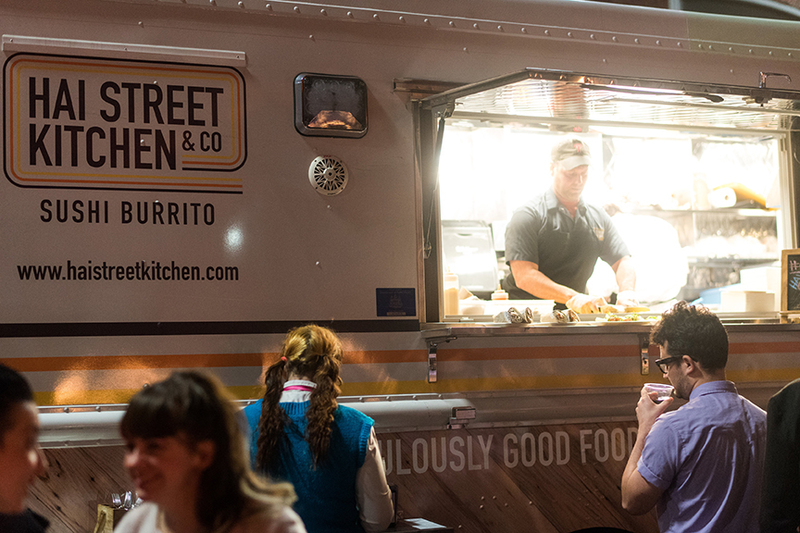 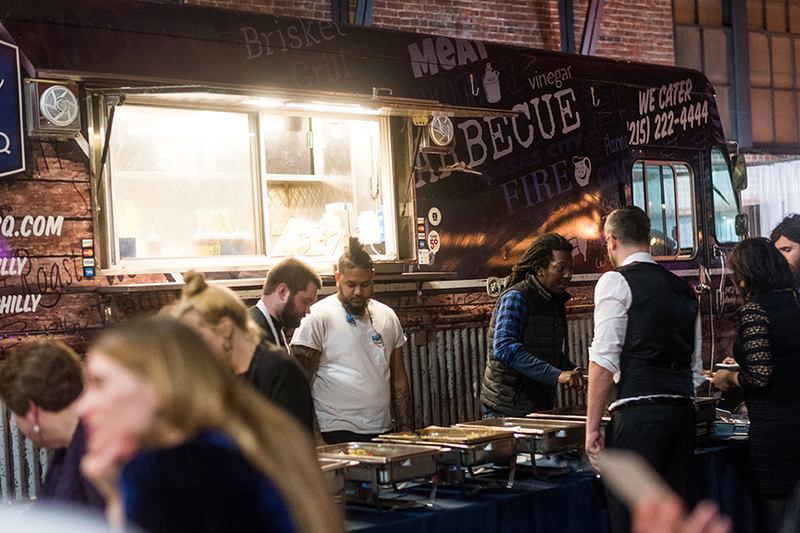 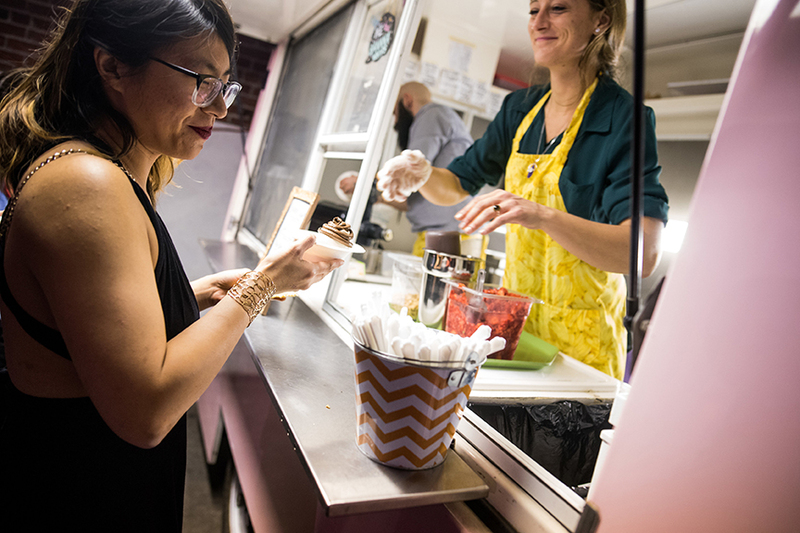 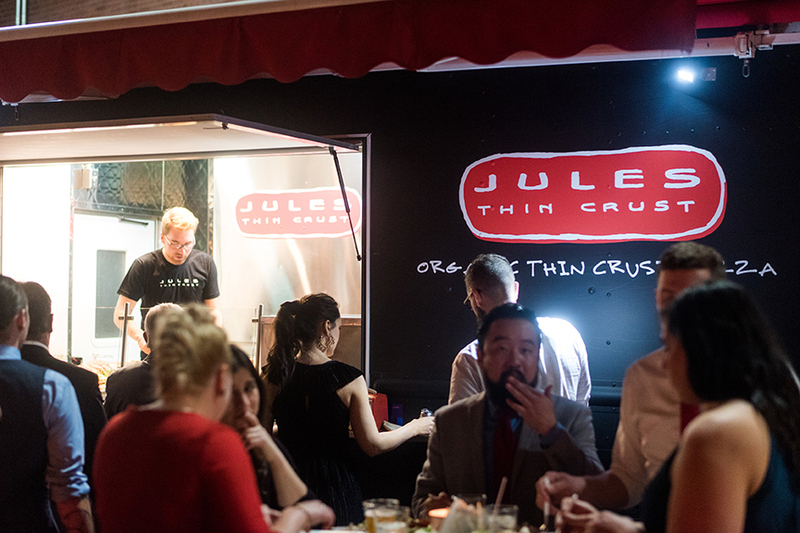 Their guests had unlimited access to food trucks from Dos Hermanos Tacos, Baby Blues BBQ, Hai Street Kitchen Sushi Burritos and Poke Bowls, and Jules Thin Crust Pizza for dinner, and a Chilly Banana food truck of frozen banana whips for dessert. 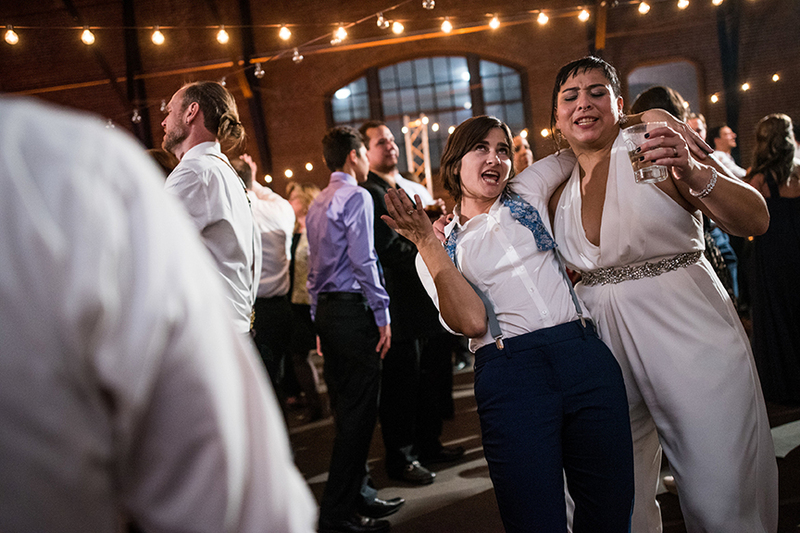 To celebrate Dubraska’s Venezuelan culture, the couple chose to have La Hora Loca, or “The Crazy Hour”, during their reception. 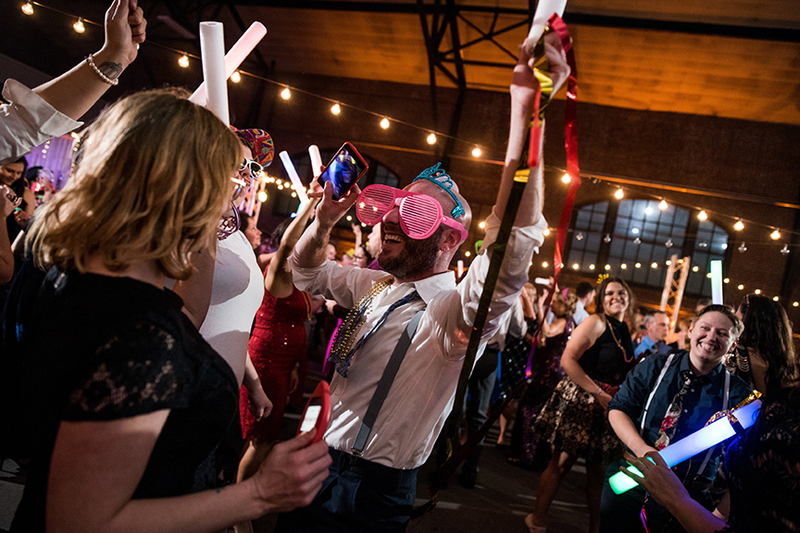 Prop glasses, necklaces, streamers, and other giveaways were handed out to their guests, and Imagine’s DJ/Drum Combo dialed up the party from a perfect 10 to a 20! 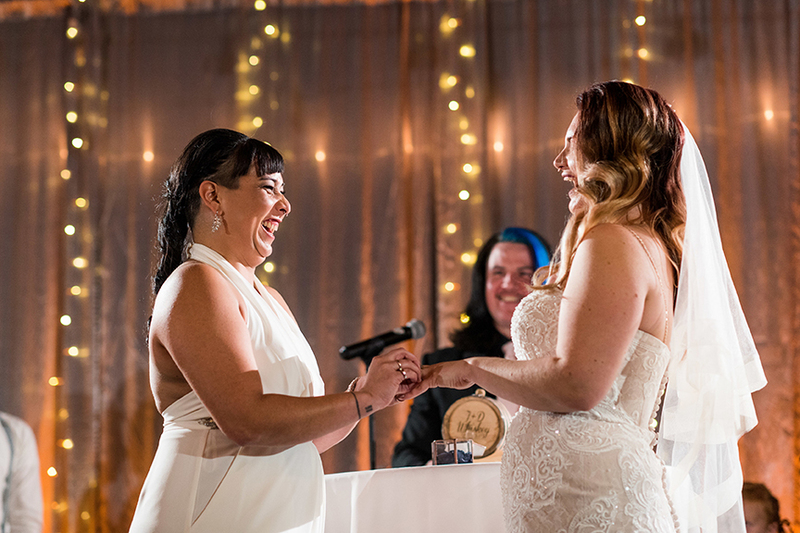 Congratulations again, Dubraska and Jill!